With the northern town of Cannae under my belt, I have a decision to make: Do I press on my campaign and try to take a major enemy city right to the south, or do I sue for peace and focus on growing my kingdom? These sorts of nail-biting choices are what make 4X games both maddening and addictive. You’re constantly weighing pros and cons, making educated guesses and playing against an enemy that you can’t fully see. Another crucial choice: How do you build up your city? 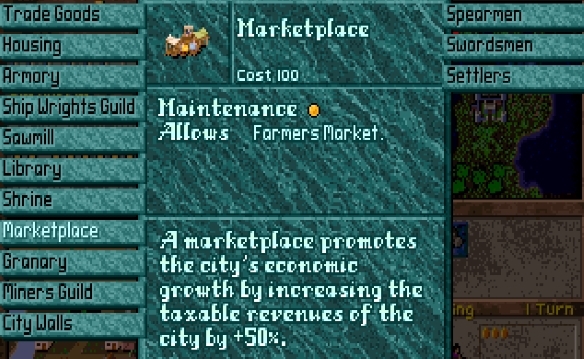 It’s been so long that I don’t have the first clue what’s the most optimal way to grow a city in this game, but I figure you can’t go wrong with more money! Also, walls. Gotta keep dem bears out. Take your pick. They’re both on me. 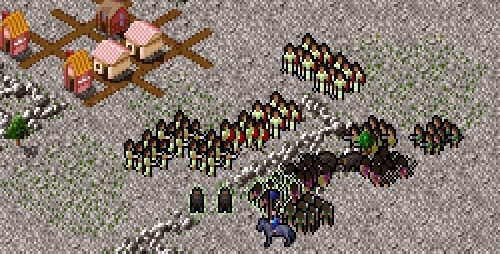 My northern army finally descends upon Isseme, where a spirited defense pours out to fight off my invaders. It’s a slightly tougher fight than in Cannae; I lose Ocho early on and even one war bear bites it. But in the end, we triumph. With that, I turn to proper empire building. I disband one of my war bears and scatter my units to finish exploring this continent and shore up defenses in each of my cities. 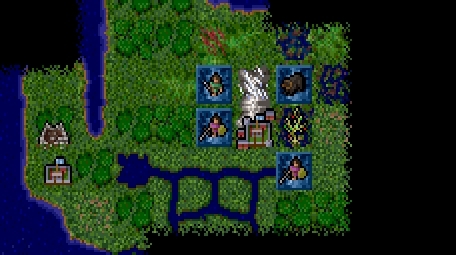 This game has a disturbing habit of throwing raiders and monsters against my towns randomly. 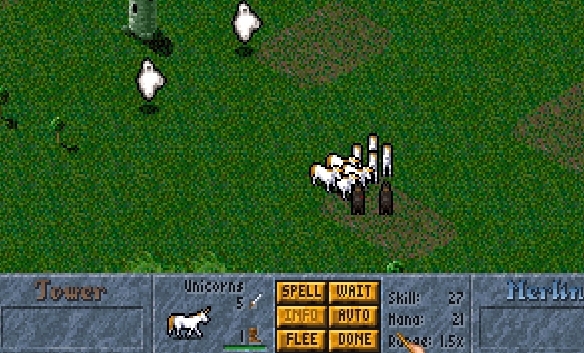 Um… so who would like to see a battle to the death between unicorns and war bears? Oh, everybody? Then here we go! OK, that is totally not a fair fight. Two packs of unicorns and two ghosties versus one unit of war bears? I hate to say it, but the bears got smoked. Going to have to build back up my war bear army and come back for sweet, sweet revenge. The great news is that I finish exploring this middle continent and find that I’m the sole occupant now that I’ve conquered those two towns. There’s even a little room to build a couple more cities! This new ship is all sorts of ominous cool, but I have to admit that I’m starting to miss my old Agent cruiser. I like how she’s partially hidden in shadow here — just like a good Operative should be. My youngest has this exact same expression and pose when he’s crapping his diaper in the middle of play. SCORPIO never stops being kind of terrifying. But I like her anyway. Pump those crazy legs, Jem! You are truly outrageous! A giant spider! 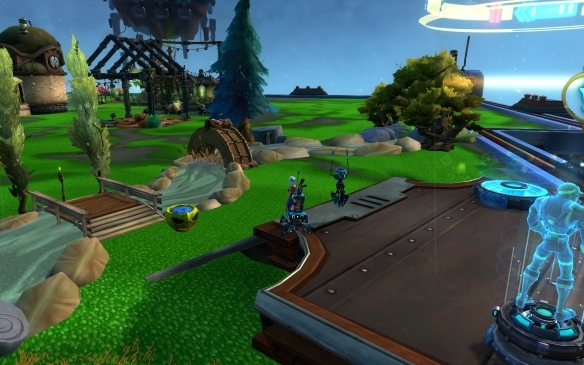 A first for MMOs! I love the desolate, wide-open feel this picture captures. Chasing my shirt in The Secret World. COME BACK HERE! 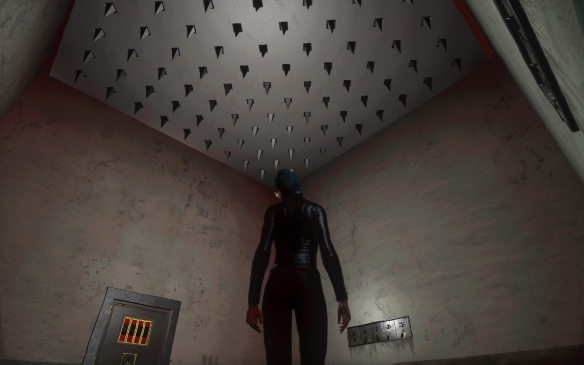 How you know you’re a blogger: When a ceiling with sharp spikes is lowering, you go, “Oh hey, let’s get the perfect screenshot!” instead of trying to get out of there. You know how sometimes right before a huge storm there’s this eerie calm which seems so unnatural because everyone knows what chaos is about to arrive? That’s my life right now. The calm before the baby storm. We are on the cusp of having our fourth child, which we were told wasn’t going to arrive until November 12th but looks as though could arrive any moment. 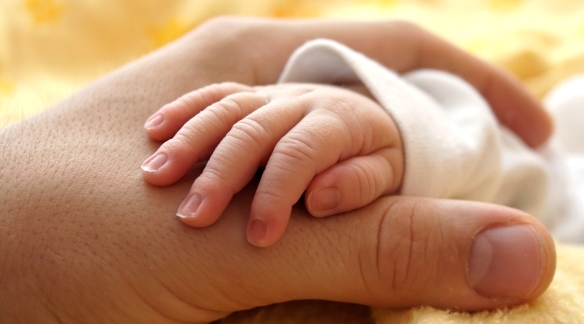 Of course, this is one of the horrible aspects of pre-birth: Unless you’re having a C-section or have an induction date, you just don’t know when it’s going to happen. Any sign from her is a possible go/no go for launch. Tons of contractions? Flu-like symptoms? Carrying low? You just don’t know. We’ve done the thing with previous kids where we are faked out and end up going to the hospital too early. This is not my favorite period, the end of the third trimester. Not knowing is quite stressful, because I have to be ready to drop everything at a moment’s notice and head to the hospital for a few days. So everything has to be ready, including backups of who will come watch the other kids, cleaning the house, prepping all of the various baby things we’ll need, and so on. If there’s any consolation it’s that the fourth time around, we generally know the procedure. I’m already steeling myself for sleepless nights and making bottles of formula and trying to figure out a new routine that incorporates a small human that you cannot reason with. I want the baby to be here already and yet I don’t. I wouldn’t mind a few more nights or weeks of sleep. There are always more things that can be done to prepare. It’d be great to be able to take the kids trick-or-treating beforehand. One cool thing is the palpable excitement on behalf of my other children. They can’t wait to meet the next addition to our family and help a bit with him. I never really envisioned myself as being a father of four, but then again, back 15 years ago I never thought I’d be married at all, so you just kind of roll with life, ask for God’s grace and protection, and find the joy in all things. Even the storm. 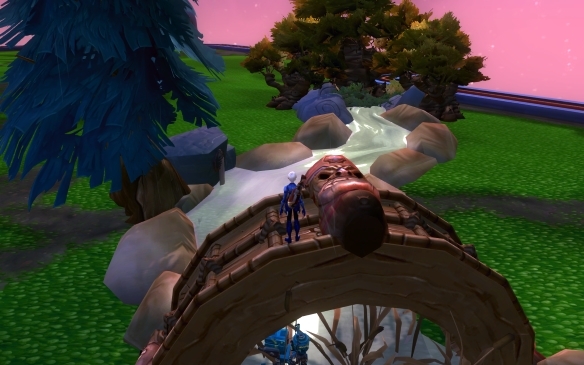 So this was my major project last weekend: building a scenic river for the entrance of my housing plot in WildStar. It took a lot longer than you’d think. River decor is one of the newer additions to the vendor, although there are only winding bits — no straightaways or variations. My plan was to have the river cut diagonally in front of the teleportation pad with a bridge to pave an introduction to my plot. 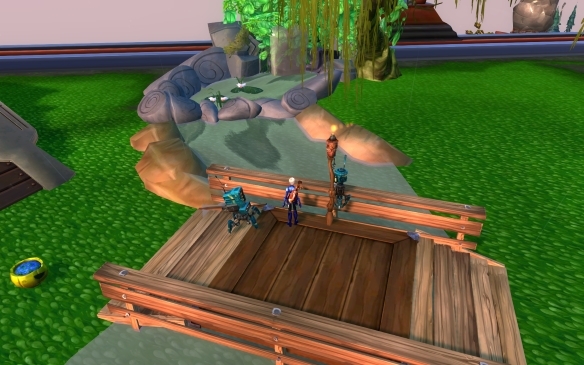 Someone said that there was a curved Aurin bridge out there, but I can’t seem to find it anywhere, so in the meanwhile I built my own bridge out of various parts. So, the river. I started by laying down three segments of the winding river, resizing them until I got a stretch of straightaway in front of the teleportation ramp. Problem #1 came up when I realized that the seams where the river segments connected were very noticeable. I was going to need to do a little visual trickery to cover them up. Next was to establish the head of the river, which I did with a waterfall and lily pad pool. I used hanging plants to droop over the rocks and cover up the back part of the waterfall somewhat. I think the overall effect worked great. I sprung for buying curved rocks for the pool, but I realized that doing the same for the river banks would get expensive, fast. The line of rocks across the pool and a flipped tiki bar that’s now serving as an arch are my tools to cover up the river seams (plus some plants under the arch). I wanted to have river banks the whole way, so I crafted up a bunch of sacks of buckwheat that I made big and flipped over to serve as faux rocks/dirt. I think it worked out fairly well and was a lot cheaper in the end. I added some stocky trees and plants at the river’s terminus, a few trees along the way, and even a second small waterfall coming out of a sewer grate on a rock. Took a few hours to do start to finish, including adding little touches and details, but all in all, I am extremely pleased with the end result. It adds some nice motion right at the entrance and the water effects — while not the best I’ve ever seen in an MMO — are pretty neat. I don’t know what I’ll be doing for my next building project — probably fleshing out my “fun house” (yes, I broke down and bought one of those haunted house FABkits). I’ve been using the thunderhead sky because it makes the colors of the plot really pop and adds just a touch of weather without getting too oppressive. A bee has done the unthinkable — committed suicide. And no one knows why… or how. Bees, in The Secret World parlance, are the anima-infused humans who not only have special abilities but cannot die for good. All “bees,” including players, infinitely resurrect upon death. 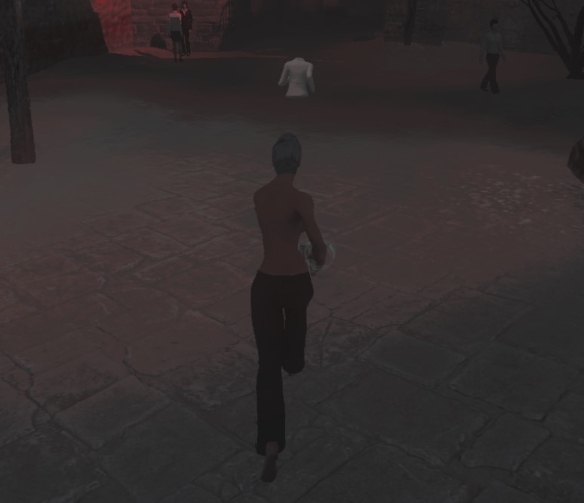 But one such person has figured out how to off herself, which sets the stage for TSW’s newest Halloween mission. Man, it has been a long, long time since I’ve played through a new TSW quest. I gladly dropped my gaming plans yesterday to go through it as soon as the patch went live. 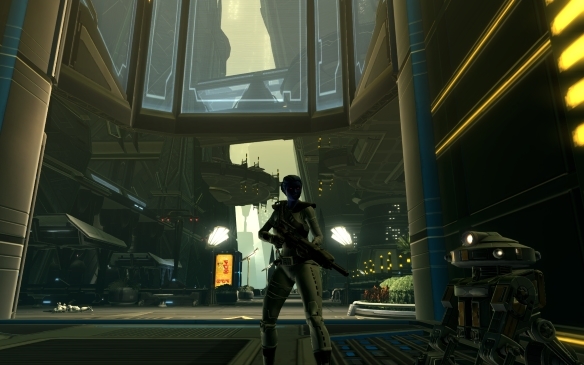 The mission reminded me of how much I love this game for its dark brilliance — and how rage-inducing and frustrating it can be even so. The Seven Silences is an investigation mission, which means little hand-holding and a lot more deduction. It’s fortunately not TOO hard, although there were a couple of spots that proved troublesome. Took me about two hours to go through. 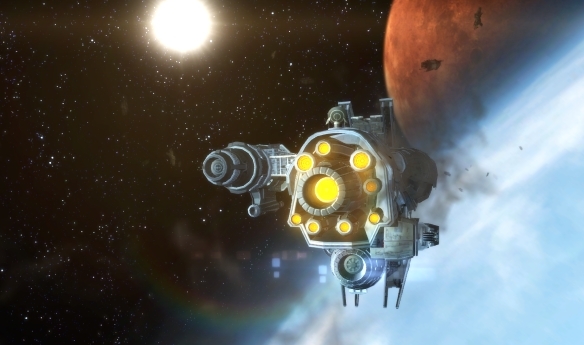 The mission had me following the trail of the recently deceased, who apparently was trying to use certain locations in the world to activate dreams that weakened her bee power. 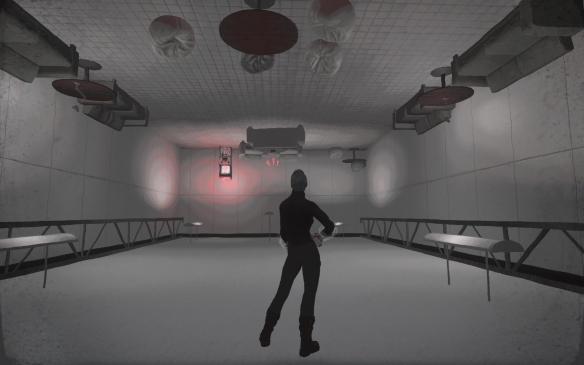 So the mission kept going back and forth between finding whatever spot she slept in next — which meant a tour of TSW’s hotels and inns — and then going through a thematic dream sequence. 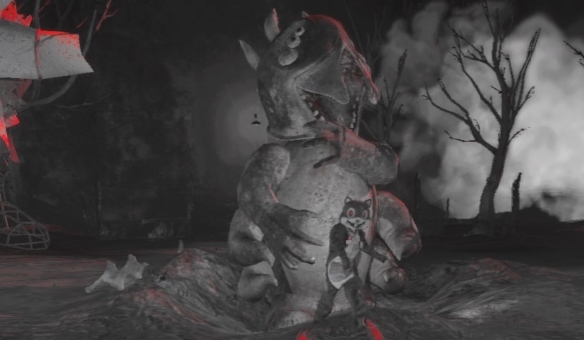 Some of the dreams were very creative and pretty disturbing, making good use of the various set pieces around the game. In fact, for someone who hadn’t played in a while, it was quite the nostalgic ride, from the Savage Coast to Transylvania. Probably the two most notable dreams included one where you woke up stark naked (save for cheeky leaves hovering over your privates) and had to chase your clothes while everyone laughed at you, and another one where you had your legs amputated from Lilith and had to drag yourself down a hallway while bleeding out. There’s a bit of a tie-in with Funcom’s new game The Park (which exists in the TSW universe). It was pretty interesting, overall. 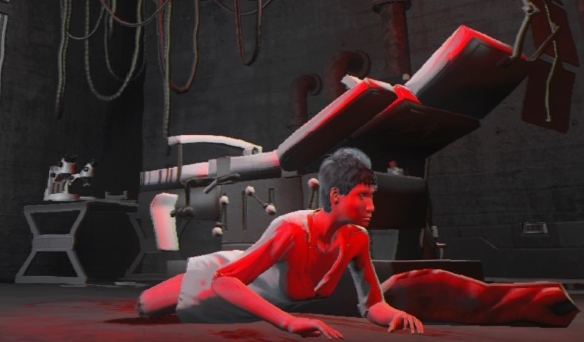 Certainly ended up feeling pretty bad for the dream lady, and marveled a little about how TSW once again tackled a sensitive subject — suicide — without flinching. So. The Park. Have I gotten it yet? Nope. To be honest, I’m a little squeamish to do so. I mean, I love The Secret World and am dying to know what’s in that game, but I hate, hate being scared by games… and I’m hearing that this is one unnerving title. TSW isn’t as bad — while there are squirmy spots, for the most part it’s not too terrible since you’re a superhero who plays alongside others. But to be a helpless character all alone? That’s another can of worms. 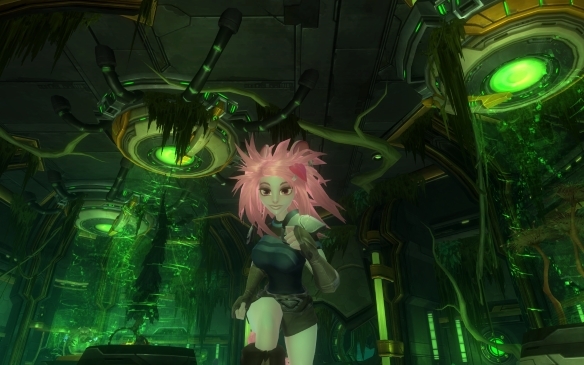 Does anyone really care about MMO titles? I have to ask this question, because I’m genuinely curious. Are MMO titles really that interesting of a reward? Are there players out there who are gasping with excitement over attaining a new batch of small words to put under/next to their character’s name? And, in a related follow-up question, do people even read the titles that others have? Because I know I do not. I’ve only rarely been interested in getting titles. 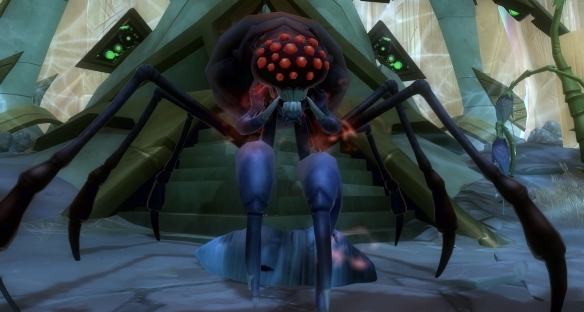 It used to be a Big Deal in World of Warcraft, but I never pursued them. While LOTRO gave out thousands of titles, most of which no one would care to ever use, the only one that interested me was getting “Wanderer” from that weird hidden deed quest. Warhammer Online made titles out to be a major reward type (the “AHHHHH” title for falling was of momentary amusement). But overall, I don’t see the appeal, both in wearing one and populating a game with avatars that have a name (sometimes with a last name as well), a guild tag, and then a title on top of that. Do we really need paragraphs running around in the world? Has anyone ever looked at another player, taken the time to read a title, and then become green with envy? Or are titles outdated, non-useful rewards that developers are in love with because they’re easy to program and have tricked players into thinking that attaining them is somehow an important carrot on that stick? 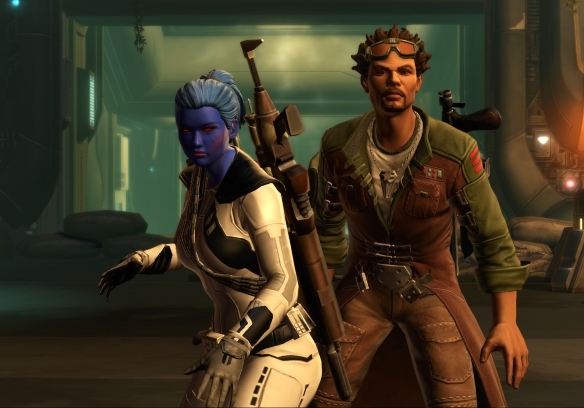 Is anyone else wearing out their screenshot key with the new SWTOR expansion? Because I can’t stop hitting mine. 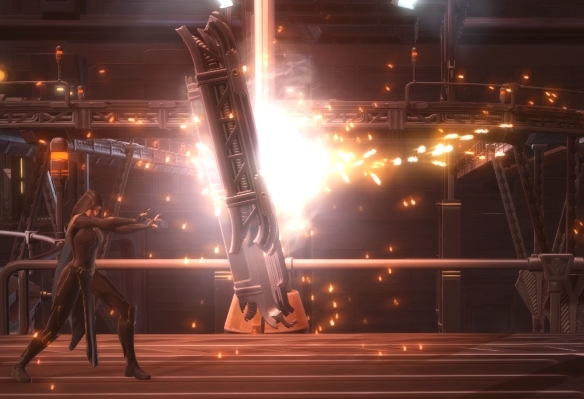 About the only bad thing of Knights of the Fallen Empire is my worry that I’m going through it too fast. I’m already in Chapter 6, and that’s taking it the Syp pokey route. And it is so good that I do not want these adventures to end. It really feels like a return to BioWare’s top storytelling form, with humor, surprises, goosebump moments, interesting new characters, and a gripping narrative. Fortunately, I was told by my friend Larry that the end of Chapter 9 doesn’t mean that we will be spinning our wheels until Chapter 10 comes out in January. Apparently there’s a whole bunch of new endgame activities to do, including revamped and additional dungeons and a companion collecting system. I’m down with that. I would hate to pick back up my Agent only to abandon her to the void a couple of weeks later. I have had to shut off general chat because people can be so spoiler-happy in there. And I won’t be dropping any major story beats here, as much as I’m really dying to talk about a few things. 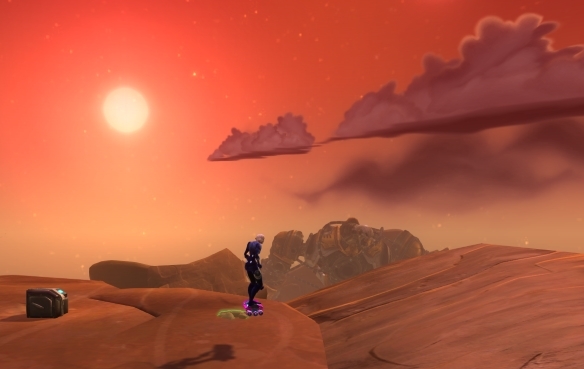 But in general, I’m really liking how the expansion is taking us out of our comfort zones and giving us a different type of experience altogether. I haven’t seen my ship in a week. I’m much more aware of the key villains and am getting to know them more from a variety of perspectives. 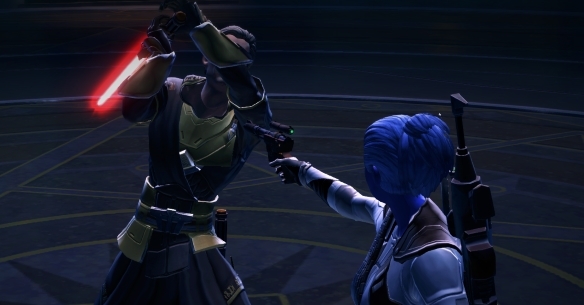 And one of my most requested features of SWTOR for ages now has been kinda answered — my companions are having a lot more interaction with each other. 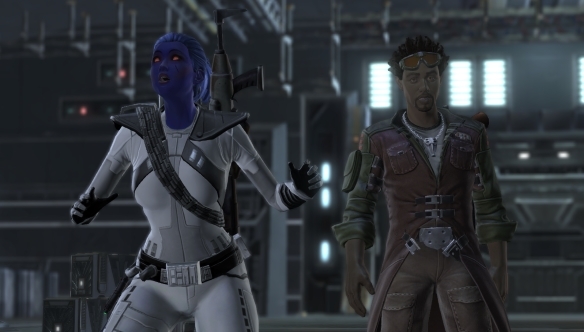 I still can’t take more than one out at a time and listen to them talk/argue (or as HK calls it, “meatbag bickering), but there are scads of cutscenes in which dialogue reigns supreme. BioWare really touted how choices will have more of an impact this time around and I’m still waiting to see how that plays out. 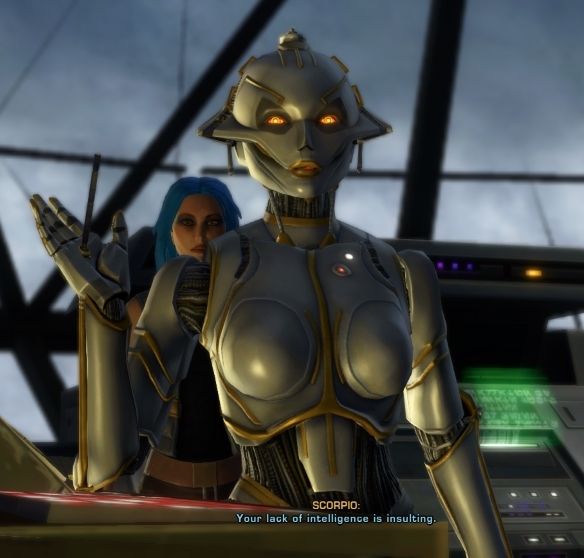 I think the reason that I choose things isn’t necessarily what the devs/game figured are the important factors (no, BioWare, I do not like Lana and am never, ever going to be nice to and/or save her). So hopefully I’ll finish up the current storyline within the next week and see what’s next for my Agent. It’ll be really interesting to go back through this expansion with a different character, I think.